If you live in the Atlanta area you may just be in luck because the show has been releasing cast calls for many small, extras roles. Georgia’s Central Casting office is now taking submissions from area locals who would love to get cast as a background actor on “Star“. The show is still filming new episodes and Central casting is now accepting talent submissions for background actors, featured extras, photo doubles and stand-ins. Central has been releasing cast calls for their initial upcoming needs and are holding open calls at their offices for Star as well as other TV shows and movies that are now filming in Atlanta. 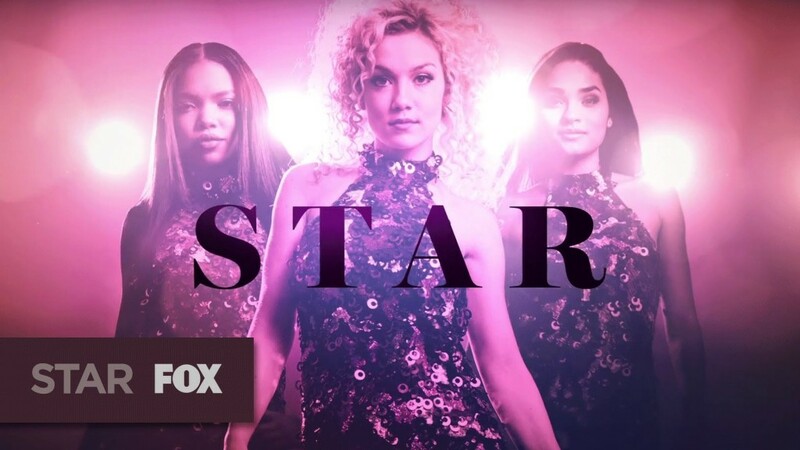 FOX’s Star comes from the man behind FOX’s other popular music drama, Empire, Academy Award-nominated Lee Daniels (Empire, Precious, Lee Daniels The Butler). The series is a rags to riches story of three young women with dreams of stardom. 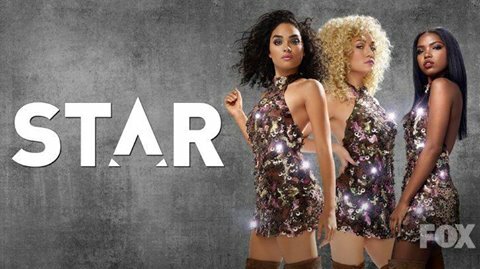 Star focuses on three girls trying to break into the music industry by forming a girl group. The show has tapped some newcomers, some of which were cast from last years open auditions to find unknown actresses to play the girls. The cast also includes some well known names which include Queen Latifah, Benjamin Bratt and Lenny Kravitz. Newcomers, Jude Demorest, Ryan Destiny and Brittany O’Grady, were tapped to fill the lead roles in Star as the 3 members of the girl group. In the show, Star Davis played by Jude Demorest, is a 17-year-old girl who had a rough upbringing and along with her sister, Simone, played by Brittany O’Grady, has her sights set on becoming a music star. The sisters hook up with the wealthy daughter of a well known singer, Alexandra Crane, played by Ryan Destiny, to form their girl group. Lenny Kravitz plays Alexandra’s father. The girls move to Atlanta, Georgia and move in with Queen Latifah’s character, Carlotta Brown , who helps them go after their dreams. Please note that the show films in Atlanta and you must be local to the Atlanta area in order to be considered. Do not apply if you do not live in Atlanta or the surrounding areas. Interested in being cast as an extra on Star? Brandi is looking for NEW FACES to the show STAR (meaning you have NEVER worked on the show this season) to play FEATURED MUSIC LEGENDS for a big scene working next Wednesday December 5th. We are looking for Males and Females, any ethnicity, in the 40’s to 60’s looking age range, who have a look and vibe that would remind us of some of the GREATS that are still around, like Stevie Wonder, Bruce Springsteen, Dolly Parton, Patti Labelle, Chaka Khan, Diana Ross, David Foster, Quincy Jones, Smokey Robinson, Bruce Springsteen, Gloria Estefan, Elton John, Madonna, etc. If you have NEVER been on this season of STAR, and you feel you have a look that would remind us a Music LEGEND that is current, and you are available on Wednesday 12/5, please send an e-mail with a current photo and height and sizes info and contact info to star@centralcasting.com. You do not need to be currently registered with Central Casting to submit, but you must have the proper documents to complete an I9 form. Please put MUSIC LEGEND in the subject line, and also let me know in the body of the e-mail which Music Legend you are submitting for. Brandi is booking a Hospital scene working tomorrow Tuesday in Atlanta. I am looking for Males and Females, any ethnicity, clean cut clean shaven professional looks and attire, average sizes, who look in the 30’s to 50’s age range, to play Doctor and Orderly types. If you are a NEW FACE to the show STAR (meaning you have not been on the show yet this season) and you are currently registered with Central Casting, and you are fully open and available to work tomorrow, please call 678-686-2375. If you are holding auditions for season 3, background or any other roles please let me know. My name is Chanel and I love this show. I watch Star all the time, lol, on repeat. I’m new to the field. I’ve not yet been discovered. I would like a change to act dance sing etc I just want to fulfill my dream. I just love to sing and dance around the house. Everyone says I have a great smile and I deserve a chance to make my dreams come true! I like this show so much. And I’m waiting for its third season. Jude Demorest Character ‘Star’ is my favorite Character. Hello my name is Deja. I have done some extra before in one tree hill and I would love to add you all. It would be a honor considering this is my favorite show. What’s life without chances let me be your new face! Will you be holding auditions for season 3, background or any other roles please let me know. EVERYONE ON THE COMMENT SECTION HERE IS WAY TOO CUTE FOR HOLLYWEIRD! My name is Kailee and I love this show, it is so good and with a lot of drama. I know it will be better with me in it. You need to actually follow the directions on the casting notice to submit. Do you ever have any extra roles or commercials shooting in new jersey? New Jersey is not a major production state. You may want to look at NY. I love this show. I never missed a a time it aired and all I wanted to do is my dream and be on the Star TV show. My name is Amber Patin and I’m a star at heart. No really this has been my dream and I am honestly born to do this I act all day every day. And I’m beautiful inside and out all I need is my big break, my one shot to my big dream. Voice artist for narration projects. Hi my name is Markeesa. I always wanted to be on TV. I been through acting class for a while and am trying to make it and become a good actress. I am funny, love to sing and rap. If you pick me I would love to be on your show. I watch the TV show star all the the time even empire. Acting is my life and I can bring a lot to the table. Hello I am trying to find out more about where auditions will be held on Thursday for extra. You would need to follow the submission instructions first. Any auditions will be by appointment only as this is not an open call. I am with casting central. I submit my pictures an I never get a call back. I’m just trying to start my career. Being an actor is my dream.